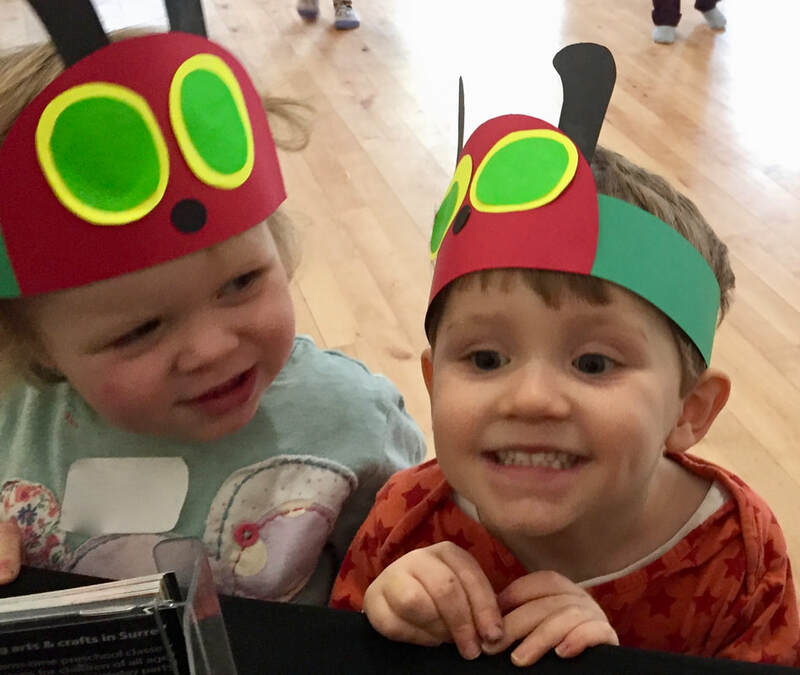 ​Our popular preschool classes are a great place for young children to try something new, explore fun paint techniques and to start developing their own creativity - without worrying about getting messy! Each week sessions have a different theme and a clear structure that helps children (and parents!) to relax and enjoy exploring the range of materials and activities we offer. 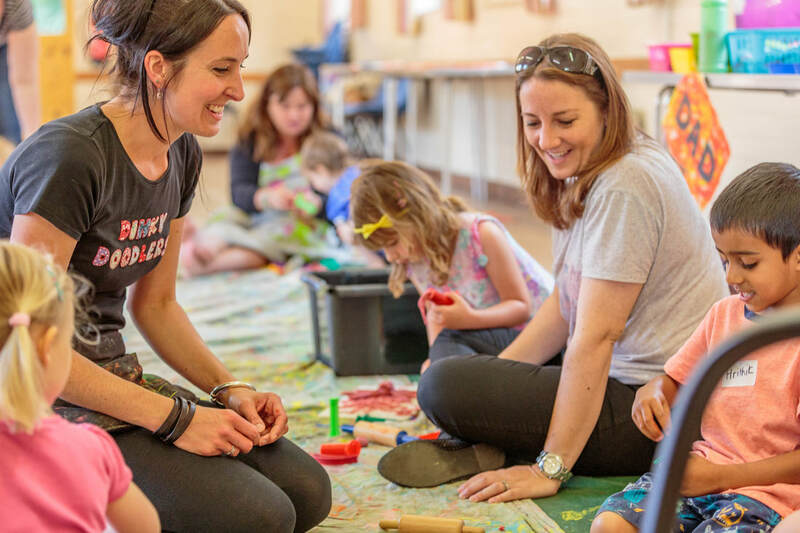 Parents and children sit side by side throughout the class and depending on the confidence and age of your little one you might find yourself either leading by example and getting your hands messy or taking much more of a back seat! Either way we're sure that you'll both be thrilled with the artwork you take home! Each week all our dinky doodlers are busy crafting two fun artworks and testing their modelling, squishing and shaping skills with our home-made dough and a range of modelling tools. 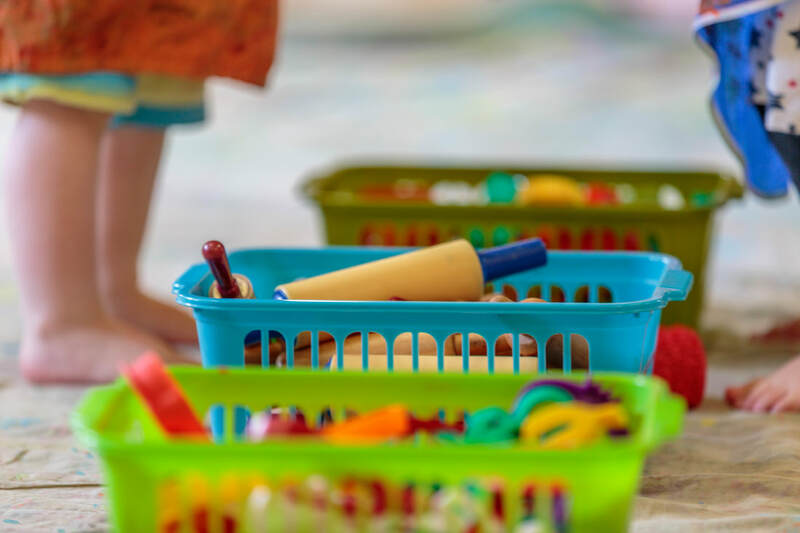 Classes for our very youngest children also include sensory/tactile exploration as well as our fun arts & crafts activities. If you're not convinced yet, why not come along and pay for a one off trial session before deciding whether to sign up to the term - just to make sure you and your little ones enjoy yourselves! 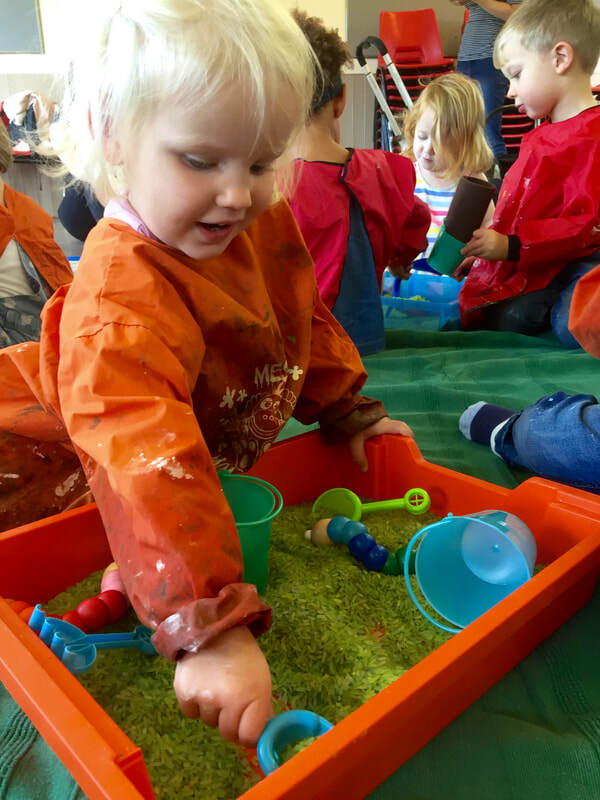 We provide aprons for the children to use, but do recommend everyone comes dressed for a bit of mess! All arts & crafts materials are included in the cost of the class and children get to take home their artwork. ​If you'd like to give us a try, then use the contact form at the bottom of this page, call us on 07984 757613 or email us at info@dinkydoodlers.co.uk. All places must be booked in advance! Our classes run in Reigate at the Colman Redland Centre on Croydon Road, Reigate, RH2 0NA. You can find us in the JNA Hall on Fridays. Car parking and changing facilities are available on site. "Would like to say a huge thank you to Laura for the massive amount of work you put in to this amazing class. This Friday will be Carmela's last time there. We will miss it so much. She has gained so much from this that even her pre school have noticed a big difference in her creativity. I recommend anyone to come and join in the fun we have there and experience the many different materials and the techniques that Laura so passionately uses". "Thank you so, so much for an amazing Friday morning experience for both of us (plus my mum and husband too!). We have had a great time together and we love the group"